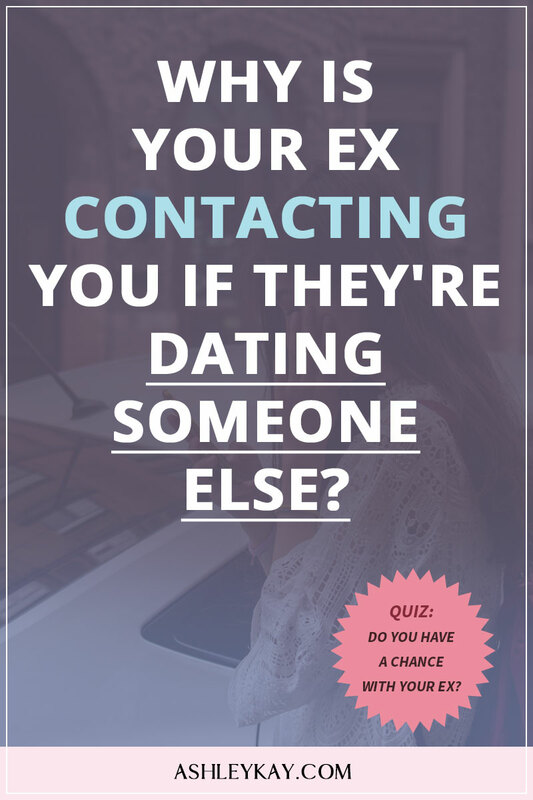 Is your ex contacting you despite being in a NEW relationship? Are you just a bit confused as to why they are messaging you? What do they want? What are they thinking? Do they secretly want you back? Keep reading, and I will shed some light as to why your ex may be contacting you if they are currently in a new relationship. 2. They want you back. If your ex wants something from you, you will be able to tell quite quickly. Just let your ex keep talking, and the “motive” will reveal itself soon enough. The reasons they may want something from you could be endless. For example, they may need money or emotional support. Their new relationship isn’t what its cracked up to be, and they miss you. Or maybe they are not satisfied with their life, and they are turning to you, someone they know and trust, to try and fix their unhappiness. It will be pretty obvious if they want something! Also, you will probably notice their behaviour will change quite quickly if you don’t give them what they want. Your ex may get angry, turn cold, or simply just disappear. The second reason your ex may be contacting you is that they really DO want you back, and they’re testing the waters. Putting out those feelers to see whether you still have any feelings for them. The first sign of this is that they will probably ask to meet with you in person. If someone is serious about getting back together with you, they will prefer to do this face-to-face, and not just over text message or on the phone. One of the BIGGEST mistakes a lot of people make when their ex is giving out the vibe that they miss you, is to get really over excited about it! This is especially true if you want them back. You may start dreaming or fantasising about romantic sunset picnics on the beach, slow kissing in the rain or dancing in each other arms. Just like how it use to be! When your emotions start to take over, you get way too excited, and this can actually set you back. Especially if your ex didn’t confirm that they wanted to get back together, during that initial contact. Your ex may need a little more time, or has some doubts and wanted to talk things through. If you are too overly excited, then you may find yourself getting needy. And drive the conversation in the wrong direction, potentially pushing them away. So it’s essential that you DO NOT GET TOO EXCITED, to begin with, when you get that first inkling your ex may want you back. If you get the feeling that your ex may want to get back together. Then I suggest the best thing to do, is to try and remove all emotions about it. I know this can be tricky, so I created a really great video that explains this in detail. The video provides suggestions on how to behave, how to act and the mindset you should have when you first get back in touch with your ex! Check it out here. Previous Post: « Advanced No Contact Strategy to Get Your Ex Back – Stop Ignoring Your Ex!